I was discussing various orange liqueurs with fellow blogger and Left Coast Libations co-author Michael Lazar when Leopold Bros. American Orange Liqueur came up. Michael impressed upon me that it was a fine product and it made a mean Oriental cocktail. This piqued my interest as the Oriental is one of the better finds in Harry Craddock’s Savoy Cocktail book from 1930. The Oriental is an intriguing cocktail that has a rare pairing of rye whiskey and lime juice, a combination that is not often found. 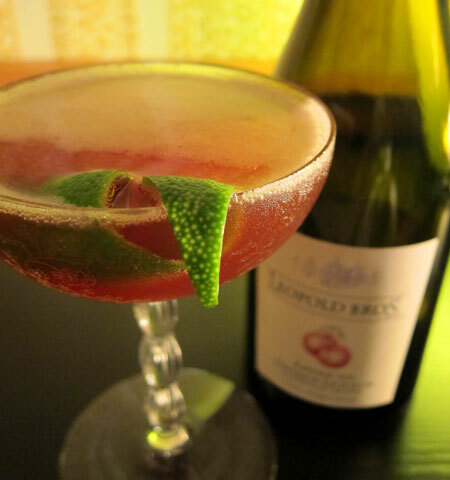 Following a more modern adaptation of the Oriental but substituting the Cointreau for Leopold Bros. American Orange Liqueur definitely awakens a different side of this cocktail. The American Orange has a powerful floral side that nicely pairs orange blossoms with the lime juice. An appealing combination that might seem better paired with gin but works wonderfully with the rye. Shake and strain into a chilled cocktail glass. The Oriental does not call for a garnish but adding a little visual flair never hurts. Adventures in Cocktails © 2011. All Rights Reserved.